I’m constantly looking at book covers as part of my “job” here at Indies Unlimited. On top of that, I run into authors posting their covers in groups all the time, asking for input. So I see a LOT of covers. And most of them all have the same issues. Today we have a sneak peek from the eclectic collection by authors K. S. Brooks and Newton Love: Odd and Odder: A Collection of Sensuality, Satire, and Suspense. 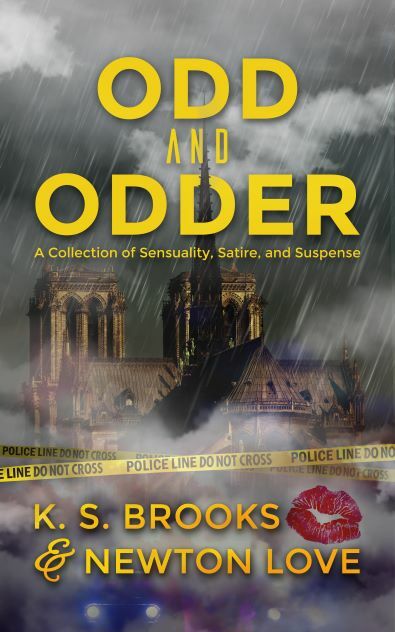 Odd & Odder: A Collection of Sensuality, Satire & Suspense brings together the creative, off-beat minds of published authors K. S. Brooks and Newton Love. From short stories befitting The Twilight Zone, to lustful verses of poetry, to thought-provoking flash prose: Odd & Odder is consistently fresh, sometimes outlandish, and truly entertaining. A total of 22 original works and two bonus excerpts from the authors’ novels are included, providing something for readers of all tastes. Odd & Odder is available from Amazon, Amazon UK, Smashwords, and Barnes & Noble. 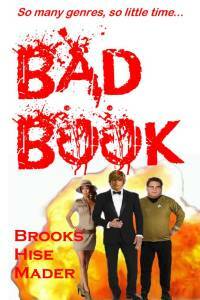 Today we have a sneak peek from the bawdy spoof by authors K. S. Brooks, Stephen Hise, and JD Mader: Bad Book. The name’s Case. Just Case, that’s all. He is a man among men and therefore no first name is needed. Women want to smack him – men want to smack him, too, just harder. Join Case on his epic travels through multiple literary genres as he ruins horror, space-adventure, noir detective, spy-thriller, westerns, classics of literature, pop culture icons and more with his own unique panache. 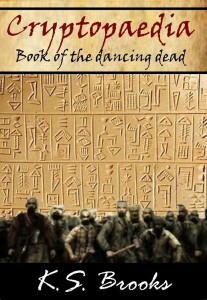 Never before has a spoof conquered so much with so little. Bad Book is available from Amazon, Amazon UK, Smashwords, and Barnes & Noble.